Spring in a great time to head to Turkey for a viewing trip and an even better time to enjoy this fabulous country once you’ve purchased your ideal property here. Temperatures are rising but remain far from unbearable, flowers are blooming and towns and cities aren’t swarming with tourists. 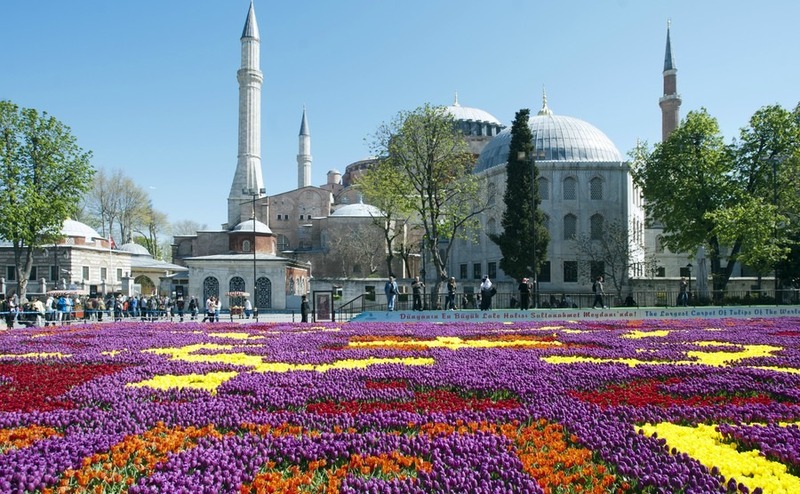 Each year in April the Istanbul Tulip Festival heralds the arrival of spring. So what can you expect from a Turkish spring in some of the country’s most popular spots with overseas property buyers? This fascinating city that straddles Asia and Europe is a great place to visit throughout the year. But springtime is special, causing us to fall in love with Istanbul all over again. With the winter snowfall behind them, the locals spring to life by hosting various events. Each year in April the Istanbul Tulip Festival heralds the arrival of spring, as millions of bulbs in over 160 varieties of tulip are planted in parks across the city, causing Istanbul to burst with life. Head down to Emirgan Park to see this colourful display in its full glory. The International Istanbul Film Festival also begins in early April. This year is 37th edition of the event, with 198 films by 218 directors currently being screened at various venues across the city. Coastal neighbourhoods along the Bosphorus that you might be considering on your viewing trip come to life in spring. On the European side take in places like Ortaköy, Kuruçeşme, Arnavutköy, Emirgan, Sarıyer, İstinye, Yeniköy and Bebek. On the Asian side take a stroll from Üsküdar, through Kuzguncuk all the way to Beylerbeyi and Çengelköy where you’ll find Judas trees in bloom. The arrival of spring not only brings colourful flowers that make this already beautiful area a sight to behold. The rising temperatures allow us to return to this UNESCO World Heritage site’s honeycombed hills, valleys, fairy chimneys and historic abbeys carved into rock, where thousands of people once lived. The rising temperatures allow us to return to this UNESCO World Heritage site’s honeycombed hills, valleys, fairy chimneys and historic abbeys carved into rock. The fresco-adorned rock-cut churches of the Göreme Open-Air Museum and the refuges of Kaymaklı are the areas most famous sights. There’s also miles of trekking routes to be explored, balloon flights to be taken over the moon like landscape and the wild horses of Cappadocia that run free in the area. Sometimes referred to as Turkey’s answer to the French Riviera, Bodrum is full of crowds and energy during the peak summer months. Spring, however, offers a more relaxed pace of life before the tourists return. 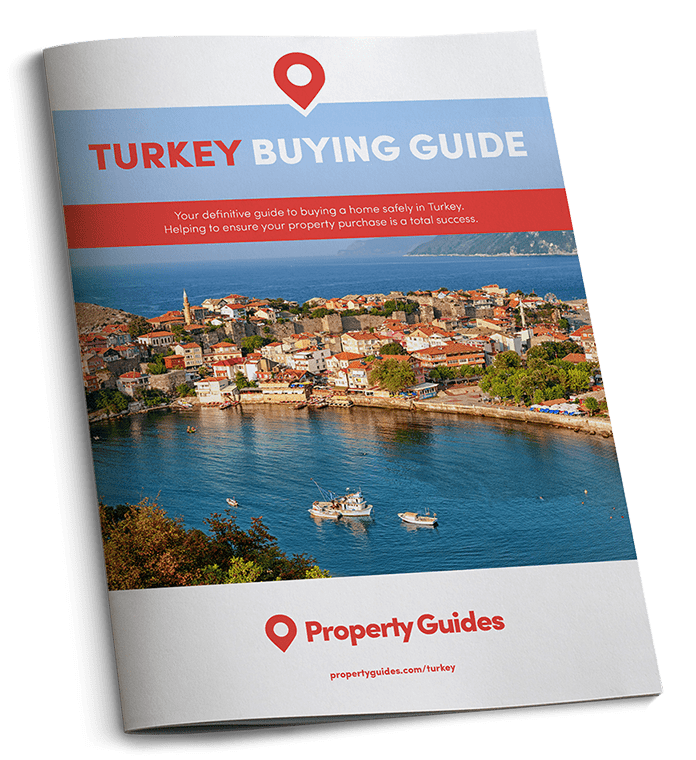 This will make your viewing trip in around Bodrum a more enjoyable and productive experience, with less traffic on the roads, less property buyers to contend with and cooler conditions allowing you to make the most of your days. Forget the spring showers the UK is so well known for, because in Antalya things are starting to heat up. Its location in the south of the country means Turkey’s most modern city experiences average temperatures of around 16°C in April, with the mercury rising as high as 21°C – proof that this genuinely is a year-round destination. The sight of snow-capped mountains in the distance is a constant reminder of how blessed you are to be enjoying such comfortable conditions. Some parts of the UK experienced snow in early April. Take a viewing trip to Antalya during spring and you could be relaxing on the beach when you’re not viewing properties.